New parents often try to answer the question: why do babies cry? It’ s exhausting! Babies cry for many reasons but every crying baby sounds the same: LOUD! What if I told you there is a way to answer the “why do babies cry” question and you can learn how to get your baby to stop crying? If you apply what you read, soon you will be soothing your baby like a pro! Sure, there will still be times when you’re at a loss for what to do, but those occasions will be far and few in between. Let me start by saying that crying is how babies communicate. Crying is their words to express everything they feel, think, want or need. I used to think I needed to shush every fuss my infant made. I am not a fan of letting a baby cry it out, so I wanted to avoid that at all costs. Slowly I learned that intently listening to my baby screaming in my arms is beneficial because I am more likely to respond correctly. And knowing is half the battle. (even GI Joe knows that). This is what you want, but you have a fussy baby. How To Know The Difference Between Every Baby Crying Sound And Cue? As I previously mentioned, you do this by listening to a fussy baby. It takes patience and practice but soon you will be able to tell the difference between every baby crying sound. This should be one of the first guesses when your baby starts crying, especially if you breastfeed. Keep in mind that human milk is digested pretty fast and it is possible that your newborn gets hungry sooner than you`d think. If you struggle with having enough milk, here are a few tips on how to increase milk supply fast. Usually, other signs accompany the cry for food and you can avoid the baby screaming by recognizing these. Often, babies start out just making short little fussing sounds, giving you a heads up that their belly is empty. Some babies are more demanding and downright shout for you to get moving. Babies are aware that without food they can`t live. Their instincts tell them that they are hungry but taste no food, so they’d better call loud enough for a fast response. Hungry babies start sucking their hands, make smacking noises or turn their head side to side trying to find something to latch onto (called rooting). 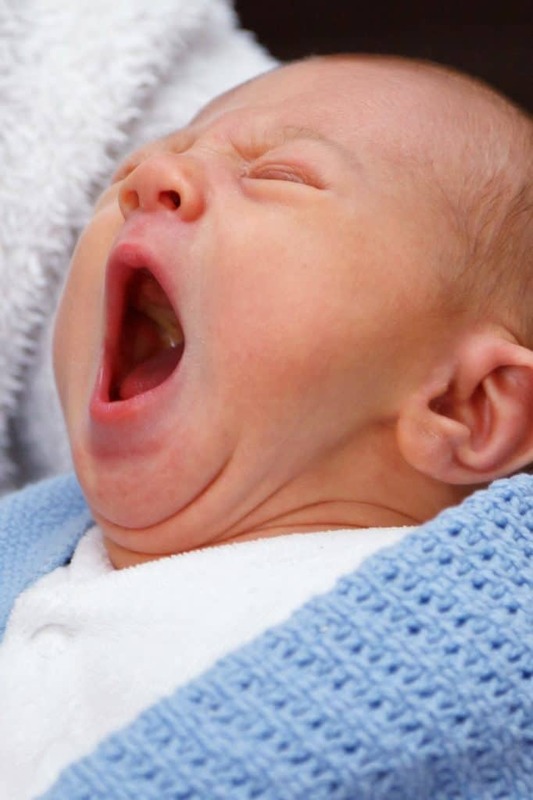 Another fairly common reason for newborn crying is simply being tired! Think about all the external stimuli a baby receives on any given day: lights, noises, new faces, unfamiliar sensations, unknown places just to name a few. 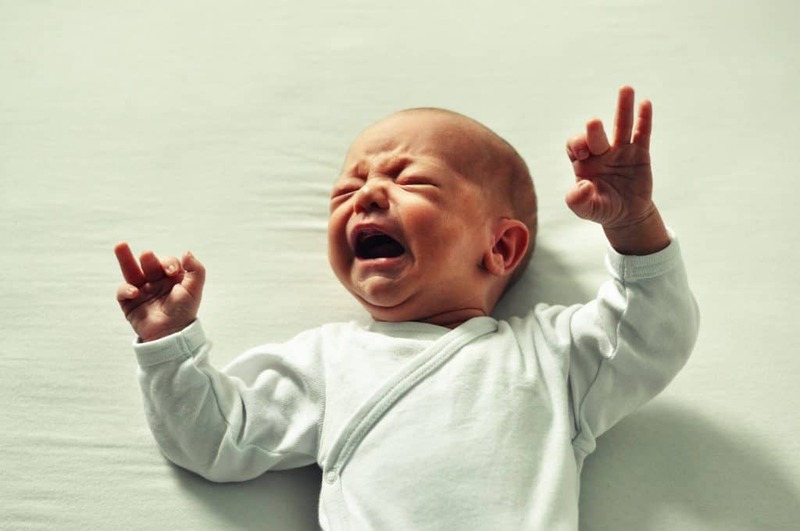 When a baby is irritated, fussy and ready for a snooze, he often cries very forcefully just like when he is in pain, but if you look closely, there are no tears. Other cues that signal tiredness are your little one rubbing her eyes and yawning. Your baby needs to sleep. If you establish a general routine, you will know when nap time is by looking at your watch. Keeping an eye on your baby and watching the other signs of sleepiness will help you prevent a meltdown. Yawning, rubbing eyes, time for bed! Crying due to pain sounds very sharp with lots of tears, often leaving a baby breathless for a few seconds, depending on the level and duration of pain. The full force screaming is often accompanied by flexed limbs and closed eyes. Sometimes, it is perfectly clear what caused the pain (teething or a shot), which you can manage with cuddling or medicine. Other times you have to do a little more digging to answer the question fully. One main reason why babies cry from pain is a tummy ache. Tummy aches are usually caused by gas pain or food sensitivities. If your baby has gas pains, she may kick her legs and then pull them back up again in order to get rid of the air bubbles. 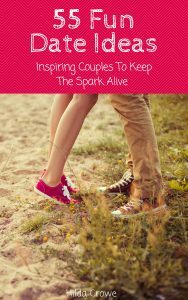 You can gently push on her belly and get an idea of whether your touch is making things worse. Trying a massage, burping or going from standing to sitting a few times quickly will help relieve the cramping. Want to know my go-to solution for preventing tummy problems and ensuring a healthy gut? Check out Gerber Soothe Probiotic Drops! This product is amazing and I swear by it. I only found about about this with my third baby. I gave him 5 drops of Gerber Soothe every single day for several months to establish healthy gut bacteria and cut down on belly aches. He was THE BEST baby in the universe. I kid you not. He barely had belly aches and never cried from pain during the first 2 months! To be fair, I do think it was a combination of his personality, my experience, as well as the drops. Another product I love is the Infant Simethicone Drops which work by dissolving the air bubbles in baby’s tummy. It’s more of an immediate relief, so you can give the Gerber Sooth each day and do the Simethicone as needed. Nope, not working for me! My second baby was miserable after every feeding and consistently had awful bellyaches. I was starting to despair and run out of solutions. I didn’t know about Gerber Soothe back then so I can’t say how things would have turned out had I been using it. My sister advised me to stop eating dairy for two weeks and see if it improved his symptoms. Now it was my turn to be miserable without cheese and ice cream. After about a week I was able to tell a huge difference and after the full two weeks, my little son was a different baby. Whenever I accidentally ate dairy, we were back to the terrible bellyaches. In a few days, as his body got rid of it, he improved again. It was plain as day to see that the diet change helped, so I was more willing to continue my diet just to keep him from being in so much pain. Some babies may be sensitive to soy as well, or vegetables such as peas, broccoli, beans, etc (pretty much anything that can wreak havoc on an adult`s digestive system too). If your infant struggles with gas often, accompanied by severe pain and doesn`t seem to respond well to medicine either, you may consider changing your diet if you are breastfeeding or switching to a different formula if bottle-feeding. You can read more about tummy aches here. Disclaimer: I am not a medical professional, this is purely my opinion and experience. Always consult your doctor about what to give your baby. Even the youngest babies have very particular thoughts on who should hold them or what feels comfortable, and they will express their overall preferences. Dislike is the easiest to tell because they loudly protest. This type of crying often occurs without tears, because babies are really just mad and frustrated. The baby cries loudly and she may be in emotional distress. I believe in treating an infant as a small but intelligent human and giving them respectful attention. I disagree with letting baby cry it out because it’s like letting a person talking to you and ignoring it. Of course, the baby won’t stop crying. Try talking your baby through what you are doing to him, so he isn’t in the predicament of being treated as a little object rather than a person. This change in perspective will do miracles in how you and baby relate to each other: mutual respect starts developing, making a foundation for your future relationship. This one is tricky, because a cold or overheated baby may not signal how she feels as clearly as she does with the other above mentioned needs. He may fuss and seem uncomfortable, but it`s easy to assume that something else is going on than just not liking the temperature. You may have to rule out other reasons for crying before you assume it’s the temperature. 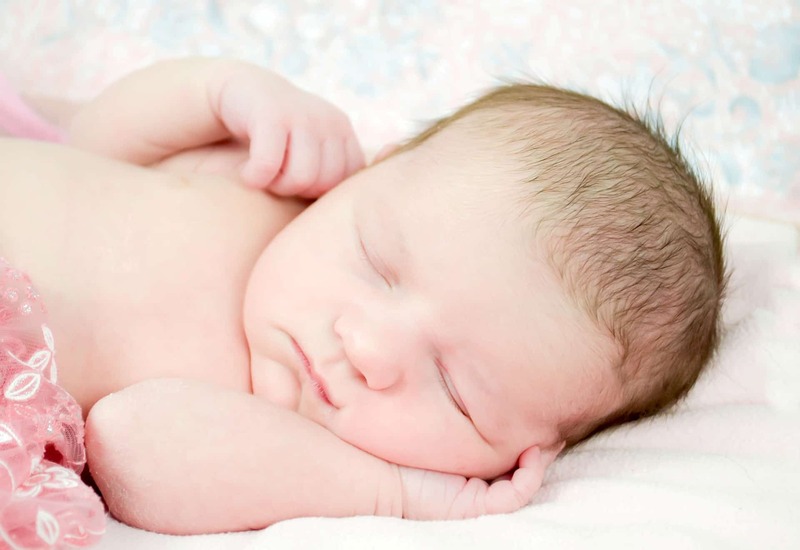 The best way to check if your baby is comfortable temperature-wise is to touch the nose and the back of the neck. The temperature of those areas is a great indicator of how your baby feels. Checking only the hands and feet may inaccurately alarm you, as they could still be cold despite the fact that her nose and neck feels nice and warm. Of course, if given a bath, an infant will definitely visibly shiver if cold, and cry the same irritated cry as when expressing dislike. If you’re sure the bath water is warm enough, then there’s not much you can do besides getting the bath over with ASAP. Sometimes, babies just need to cry, because they want to let out their pent-up feelings and vent. Sounds silly? Maybe. But we don’t know exactly what they feel and think during their early days. They definitely have an emotional world and a stimulation threshold. In this case, it seems like your baby won’t stop crying and you have tried every possibility for soothing him and nothing seems to work. It`s time to just listen and hold your baby. Don`t be afraid to sit quietly, gently talk and rock your baby, while you listen to what he wants to tell you. Sounds crazy? Well, when you have done everything and that cute little angel is still screaming her head off, won’t you try ANYTHING at this point?! This approach might revolutionize your parenting. Not only will it help you stay calmer because engaging in a conversation will keep you distracted from panicking, it will also aid in treating your infant as a real person from the very beginning. Sure, this takes lots of confidence and practice. With my first, I wish somebody had told me that crying doesn’t necessarily mean emergency. They need to cry so I can hear what they have to say. It takes confidence that you will be able to figure your baby out so you don’t start panicking. I promise you will get better and better at it! Make no mistake, babies are incredibly intelligent and if you pay close attention, you`ll notice how well they communicate and how much they understand without ever uttering a word. Listen and you will know! If you can`t seem to get a grip on your frustration, definitely ask for help! You can always let another person hold your little munchkin until you take a breather. Sometimes you have done everything right, you listened to your baby, you tried waiting and your baby still cries. It may be colick or just a super sensitive personality who overreacts to every noise and stimulation. It may be an underlying medical condition that your doctor can diagnose (ear ache for example) or just generally feeling ill.
Often times, even the most difficult, colicky babies seem to improve with time. A baby’s stomach starts making more enzymes as his body prepares for his first solid foods around 4 months old. Colic and belly aches tend to diminish around this time. Babies also become more interested in the world as they grow older so you can distract them a little more than when they were newborns. Based on my experience with 3 kids, the “little” years are tough and on some days, there is no right answer. Sometimes, you just try to survive. Accepting that this phase is like riding a roller coaster will help you ride out the ups and downs a little smoother. 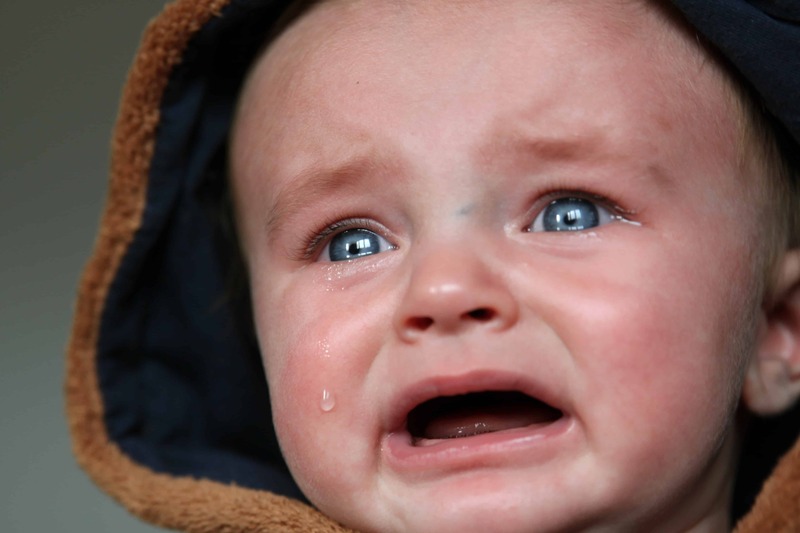 In the beginning of this article, you wondered: why do babies cry? Now you have a few good ideas on how to stop baby from crying. 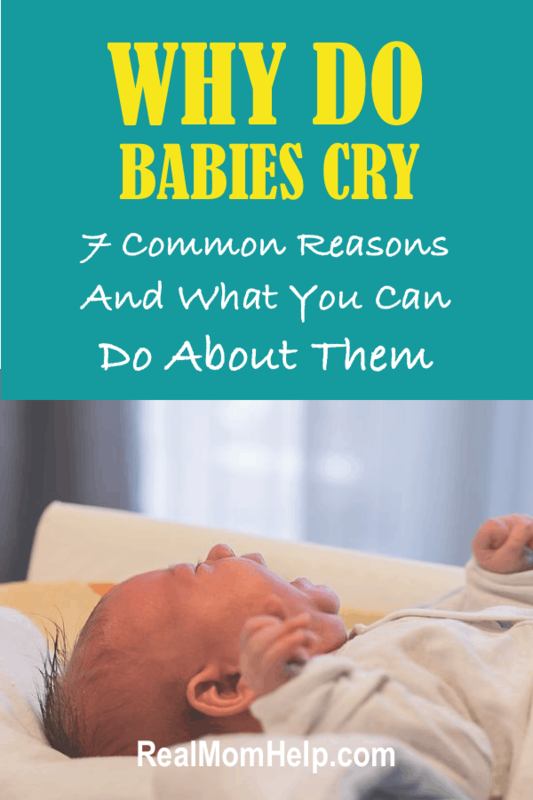 Pay attention to these 7 common reasons and as you get to know your baby more, you will gain confidence in handling all the crying too.